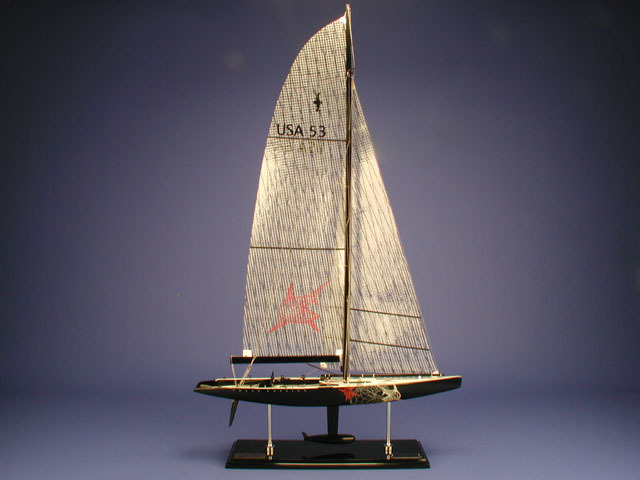 She was the American defender of the 1995 America's Cup against the Team New Zealand entry. Skipped by Kevin Mahaney, in five races between the two yachts off the coast of San Diego, California she was defeated five times. Dimensions (L x W x H): 22.0" x 5.0" x 37.0"